Using inTouch™ session tracking and analytics, event marketers can monitor and track key activity ranging from inTouch™ Table and Wall usage, presentation views, and customer transactions. This means more efficient and targeted follow-ups with leads generated at your show or event. inTouch™ solutions are tailored to fit your brand - ensuring a cohesive and memorable experience for your customers. 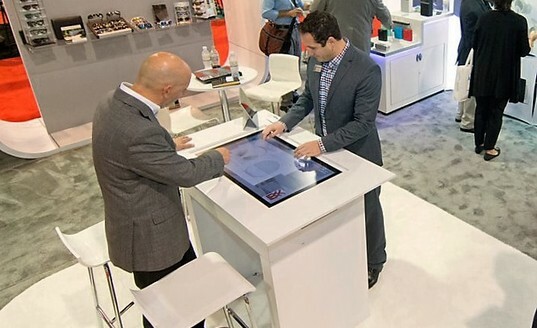 Your Skyline sales professional will walk you through the steps of finding the right interactive technology for a seamless, memorable event that will give customers a reason to keep coming back. Contact us today for information about how to find the best solution to meet your needs, and more. Whether you are outfitting a tradeshow booth, pop-up shop, or event space - inTouch™ solutions are modular by design and tailored to fit your brand - ensuring a cohesive and memorable experience for your visitors from start to finish. Our inTouch Platform includes Tables, Walls, Digital Signage, and Mobile Device Integration. Our products provide interactive experiences that are unmatched. With our Platform, you can attract more people, generate and track more qualified leads, and engage and educate visitors more effectively. inTouchPad™ is a powerful sales tool that houses all of your marketing materials in one intuitive interface. With inTouchPad, you can better interact with visitors and showcase your business products and services in the palm of your hand. inTouchPad is designed to impress your audience with seamless, branded presentations quickly and effectively. inTouchPad™ is branded to match your company's visual identity. 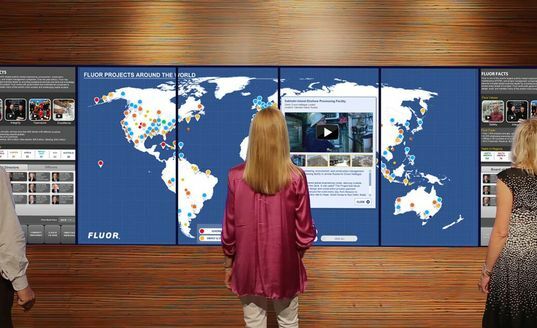 You can showcase key products and projects - making this tool an effective digital showroom. You can display and email your marketing collateral directly from the iPad - cutting printing costs and environmental impact in one fell swoop.